I’m a big fan of the summer scarf, so when I found this rhino-print scarf at Calypso I knew I had to have it. Such a cool print in such a gorgeous color combo. I don’t wear pink on a day-to-day basis, but this scarf provides the perfect pop when wearing neutrals and less shocking shades. Did I mention this baby also comes in a pale blue + yellow color combo? 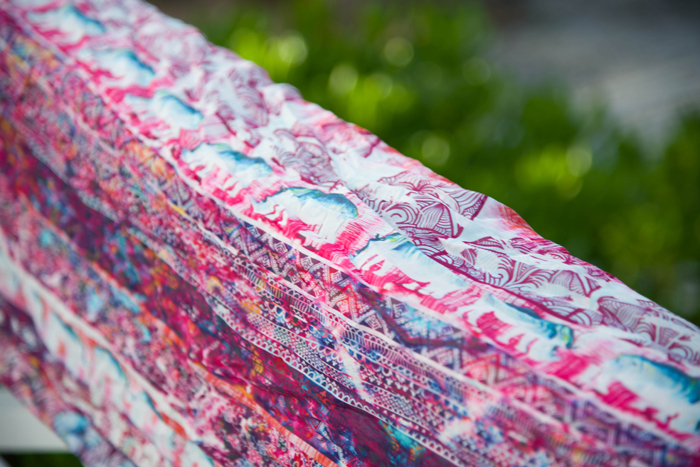 Calypso has so many great summer scarves, it truly is difficult to choose a favorite – which is yours? Shop all styles here! 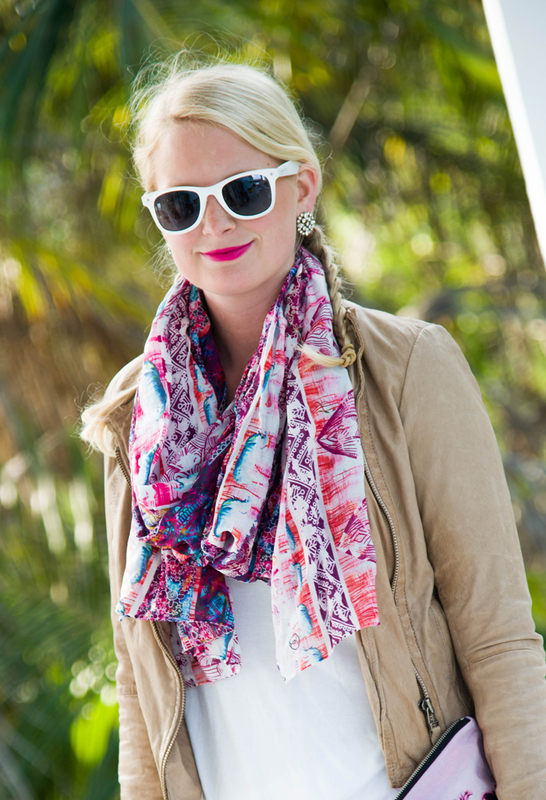 Love that scarf- will be checking out Calypso’s website now! Such a perfect summer outfit! I adore the white jeans + white tank + the scarf is perfect. 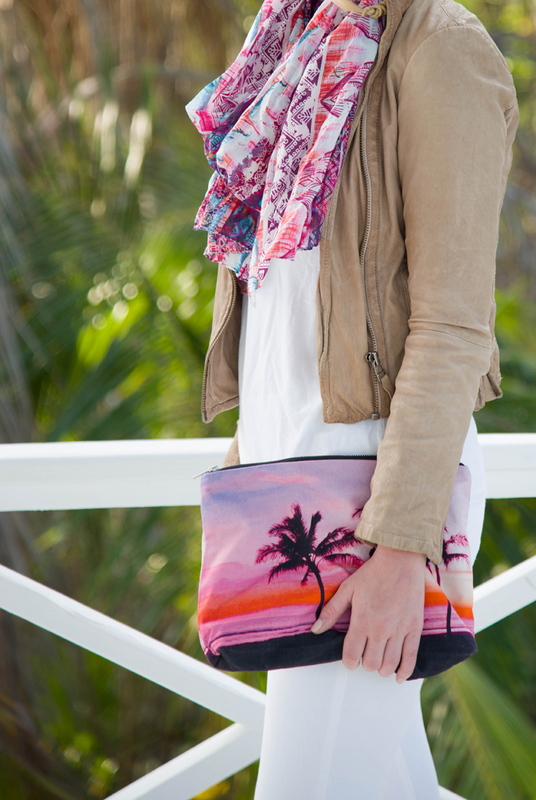 I’m in love with that clutch… Come on summer! Love the pops of color you added to an otherwise neutral outfit!